Supplement: Super Strength Omega 3 1000mg Softgels Contents: Each pack contains: 60 soft gels Facts: EPA 330mg, DHA 220mg. Fish Oil Concentrate, Capsule (Gelatin, Glycerine),Vitamin E (dl alpha Tocopheryl Acetate) Directions: Take 1-2 Softgel daily or as directed, do not exceed the stated dose. Therapeutic Value of Omega 3 Heart Health: EPA and DHA contribute to the maintenance of normal blood pressure, cholesterol levels and triglyceride levels, over time they have been shown to reduce the risk of heart disease. EPA 330mg – DHA 220mg. 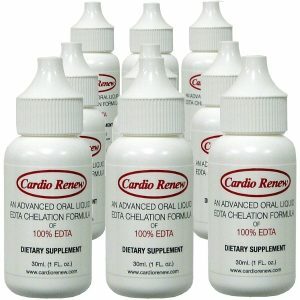 • When combined, EPA and DHA contribute to the normal function of the heart. Fish oils are the foundation of many people’s daily supplement plan, it is widely known and accepted that fish oils are good for your health and for good reason. Fish oils provide Omega 3 polyunsaturated fatty acids which are essential for our general health and wellbeing. These so called “good fats” are utilised for almost every bodily function and need to be regularily consumed through the diet. Brain Function: DHA is an important building block of the brain as the nerve cells in the brain are lined with DHA, so this essential fatty acid can influence the brain function and thus regulate our mood. Heart Health: EPA and DHA contribute to the maintenance of normal blood pressure, cholesterol levels and triglyceride levels. Vision: DHA is concentrated in the eyes where it maintains normal vision.